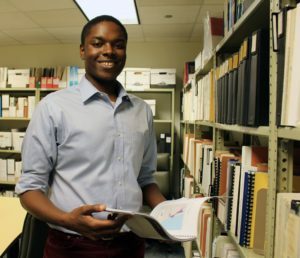 When Lafayette Cruise was a student at Northwestern University, he spent two summers in Milwaukee working as a service coordinator in public housing, which would help ignite his interest in urban planning. “I wanted to use the assets I had as a Northwestern student and as a Wisconsinite to try to make cities and regions plan for the future, so that people can live how they want to live regardless of income or ability,” said Cruise, a 2013 School of Education and Social Policy alum. After working with National Geographic’s education department on a geographic education assessment for his SESP practicum, Cruise decided to apply for public interest fellowships during his senior year. “I applied for the PIP fellowship because I loved the idea of living in Chicago, and the opportunity to work for a public interest organization in the metro area really appealed to me,” he said. Through the NU Public Interest Program, Cruise was matched with an analyst job at the Chicago Metropolitan Agency for Planning, the official regional planning organization for northeastern Illinois, and has worked there ever since. “I gained access to the public interest field, not just with my placement at CMAP, but through the connections with members of my cohort and especially through my mentor,” Cruise said. Cruise said his time at CMAP has given him a variety of technical skills he lacked after graduation, and his PIP experience allowed him to learn from others working in the public sector in Chicago. “The exposure of the PIP seminars and cohort helped me better understand the use of diverse networks for creating social impact – something that is integral to effective urban and regional planning,” Cruise said. Cruise currently works as an associate analyst at CMAP in the transportation department, and he is applying to graduate school for a Master’s in Urban Planning, focusing on housing and economic development.